A lovely little home. Beautiful, Mo! Oh, this is gentle & sweet. Love all the swirling loops. 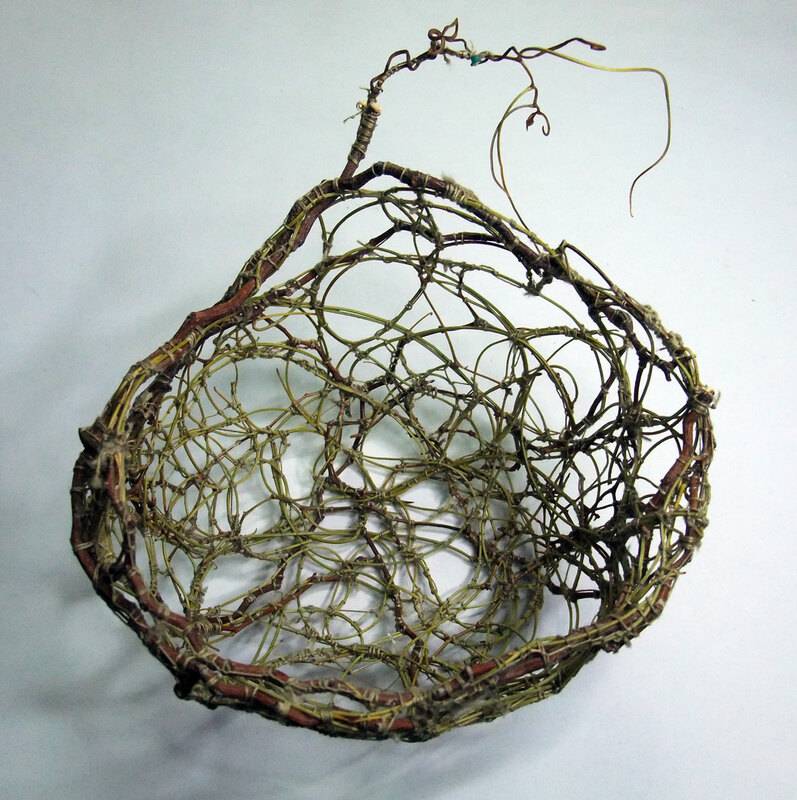 each modified leaf forms a perfect half circle and the stems are so springy yet sturdy, the nest feels bouncey! I scored the zig-zag from the flower markets back in May last year and it has dried beautifully. I stitched some stems to cloth and paper last year, there’s lots to explore! it’s a new way of looking at ideas of nets and lace and containment and love how strong it is! very interesting these three: nets, lace, containment. what is the opposite: letloosement? (one o?) 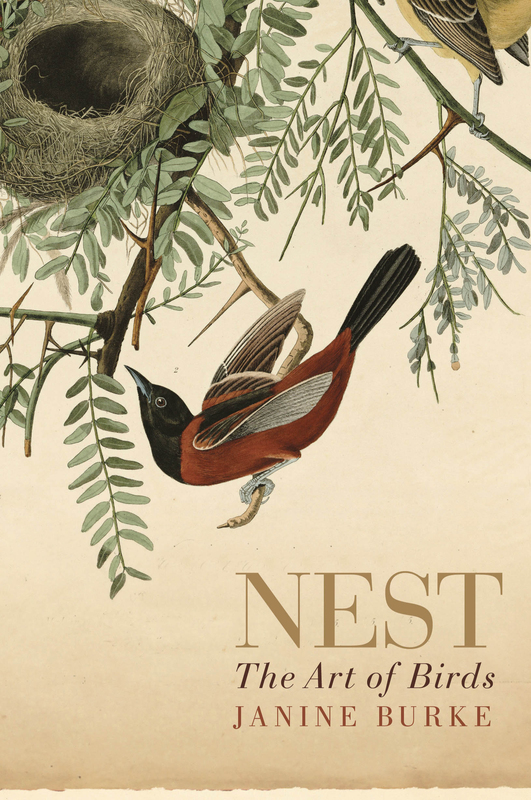 anyway, i first read the list as nests, lace containment. which was also cool. love the idea of letloosement! Nest, Oh, Nest, with Wind as the blanket….. The local noisy miners complained about me using one of their nests to grow bush orchids, they tore the orchid out of the nest & took all the nesting materials away so I make my own now! enlarged the pic so as to really see and admire all your looping artistry. I’m not sure I see the beads tho unless that strike of blue on ‘the handle’ is one? It’s really, really beautiful. I need another word!! 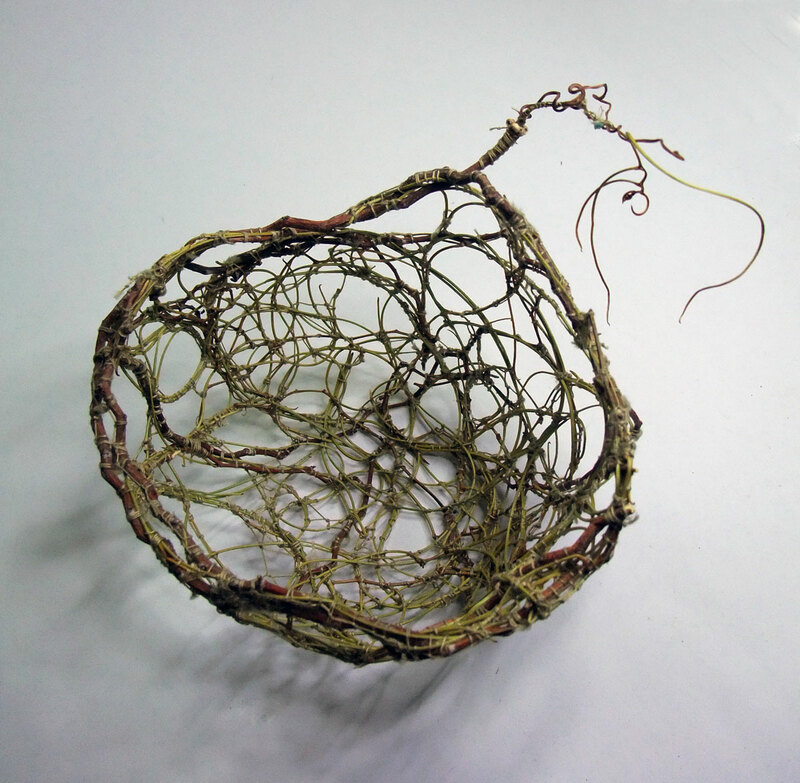 Oh i love nests……………this is beautiful ! it’s amazing how delicately birds weave and stitch with just their beaks and feet!